John Boehner is losing a key ally ahead of tomorrow’s vote for Speaker of the House. I have great respect for Speaker Boehner, for his time in office, and for the work we’ve done together. However, I do believe it is time to make a change. In November, voters all across America voiced their displeasure about the dysfunction that plagues this town. They want new leadership in Congress that will stand up to President Obama’s big government policies and advance a common sense conservative reform agenda so that opportunities to succeed can be expanded for more Americans. I gave my word to my constituents back home in Indiana that I would do everything I could to bring a fresh start to Washington. My word will be kept and I am hopeful tomorrow’s vote will help bring that fresh start. 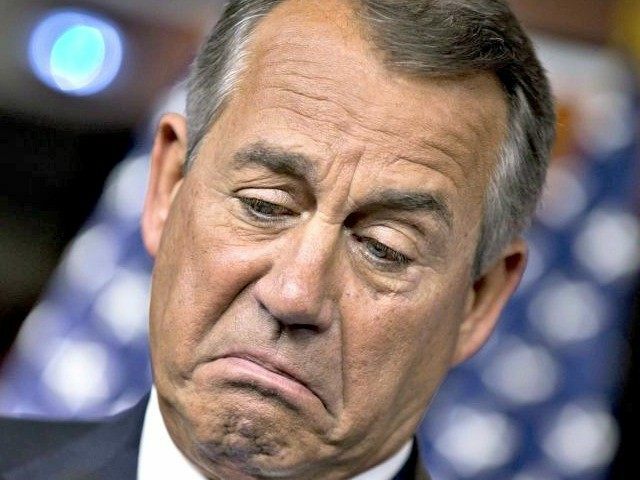 Boehner still has many supporters within his conference, of course. They include Rep. Tom Cole (R-OK), who is now calling two members — Ted Yoho of Florida and Louie Gohmert of Texas — “unprofessional” for offering themselves as potential alternatives to Boehner as speaker.